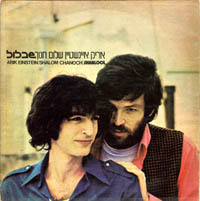 This feature serves as a vehicle for Israeli pop singer Arik Einstein to perform several songs with and by singer/songwriter Shalom Hanoch. A series of happenings that serves as neither a plot nor narrative, has Einstein playing basketball, witnessing a divorce, or banally talking about life and love. The production is geared to capitalize on less discriminating young people enamored of Einstein's vocal talent. The film demonstrates fragments of life, a few funny sketches and musical numbers, much influenced by The Beatles' flicks. Shablool reminds its viewers of the taste of the 60s, showing them the Israeli pop/rock scene of those jolly years.